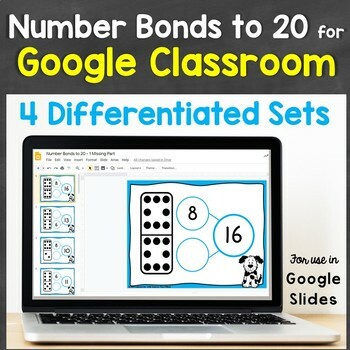 Easily provide differentiated, interactive number bonds to 20 practice for Google Classroom, Google Slides as well as hands-on practice using real dominoes with this resource that provides links to Google Classroom products as well as a printable center page! Harness students' excitement for technology and dominoes to help them think algebraically and build a strong foundation for addition and subtraction. 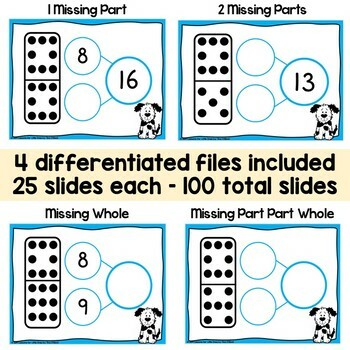 You receive 4 differentiated sets of Google slides (25 slides each for a total of 100 slides) as well as a printable center page that utilize dominoes to create number bonds. This helps students clearly visualize the part/whole relationship. Simply assign the correct digital set to each student via Google Classroom. Don't have Google Classroom? No worries - helpful instructions and links are provided that will help you set up Google Classroom. 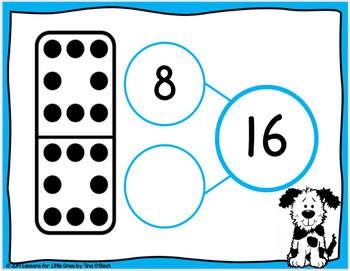 You can also use the bonus printable page to provide hands-on instruction using real dominoes! 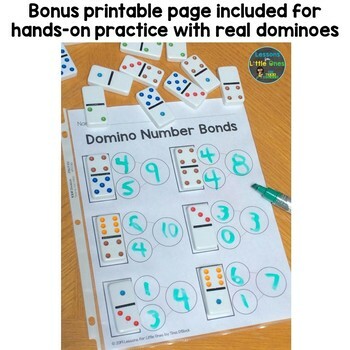 For each digital set, students simply count the dots on the dominoes to create number bonds and type the numbers into the provided text boxes. Perfect for math centers or groups, morning work, homework, early finishers. Why use an interactive Google Classroom product? Time-saving! No printing, low prep! Lessons for Little Ones by Tina OBlock is an independent company and is not affiliated with or endorsed by Google Inc.